Minato, Naruto and now Boruto, we follows the Uzumaki line of men as they all seem to share something in common, a justu which is common to all of them. The Rasengan, is seen in all three within this image. Further to the title, Where did you get that Jutsu from? relates to the song Daddy by Psy, which is why the artist named it so, very creative. A wonderful image by SorceressDream who has created this image with a comedic heart and love. If you like this work of hers, be sure to go ahead and check her other work out. Also be sure to share this page with other fans who will like this image. 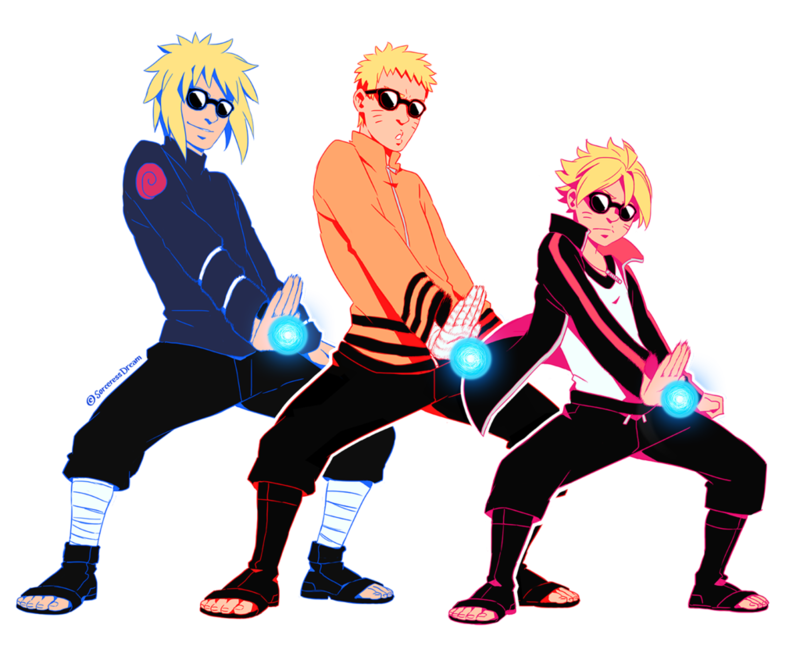 cool image… but where is jiraiya ? I guess he isn’t really a part of their family, although he’s like a grand-grandfather to them. ALERT ! SPIN OFF MITSUKI is coming out !! !